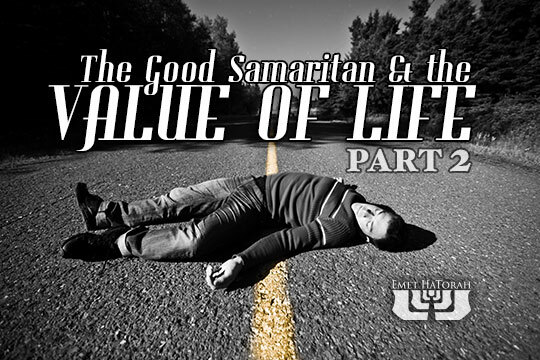 In our last article, we discussed some of the potential issues going on “behind the scenes” in the story of the Good Samaritan. We pointed to the fact that most people are unaware of the implications of Yeshua’s parable. We began by exploring one potential reason the Kohen and the Levite may have chosen to pass up the opportunity to help this dying man: fear of ritual impurity. Another consideration we need to explore is an obligation of both the Kohen and Levite that Yeshua’s listeners would have known. Within Judaism, the act of attending to the unattended dead is a very weighty matter and a strict obligation. It is considered one of the most selfless mitzvot (commandments) as it is one of the few where the recipient of the honor cannot repay the service. Where does the Talmud derive this obligation? From the same passage that prohibits the Kohen from defiling himself through corpse contamination. Again, when speaking of the Kohanim, Leviticus 21:1 says, “No one shall make himself unclean for the dead among his people.” Rather than merely saying, “No one shall make himself unclean for the dead,” the Torah adds the phrase “among his people.” Because the phrase “among his people” is used in this passage, it is interpreted to mean that as long as there are other people around who can take care of a dead body, a Kohen is not permitted to make himself unclean to attend to it. However, if he stumbles across a corpse while he is alone—an occurrence that was not uncommon in a time when bandits often took advantage of solitary travelers—not only is he permitted to make himself unclean on behalf of the deceased, but he is obligated. Some go so far as to say that this should be done even if that unattended body is that of a Gentile. If this is the case, then why did both the Kohen and Levite ignore this potential opportunity to bury a corpse found lying on the road? We know that according to Yeshua’s parable the man was not dead. However, we must be aware of some of the implications Yeshua may have been alluding to in regard to the trends of the religious leaders of his day. Why, therefore, might a Kohen and a Levite ignore a corpse if it was considered a mitzvah to bury it? According to this argument, a person should not defile himself for a corpse if he were on his way to performing certain mitzvot. Maybe Yeshua was hinting at this type of self-justification when he positioned the event occurring between Jericho and Jerusalem, with Jerusalem being the focal point of ritual purity. Were the Kohen and Levite on their way to Jerusalem to perform their obligations in the Holy Temple? We are not told. But if so, then assisting a corpse would have rendered them unfit for their Levitical service. And if this issue of obligation was still unsettled in the first century, then Yeshua’s parable of the Good Samaritan would have been particularly appropriate to address concerns such as these. Did Yeshua’s teachings—whether directly or indirectly—help influence the final rulings of the rabbis in the cases such as these where there were differing opinions on an important ethical issue? We will never know, but we can see the possibility when we understand the teachings of the rabbis he may influenced. In our next article we will look at Yeshua’s choice for the hero of his parable and what we should learn from this.